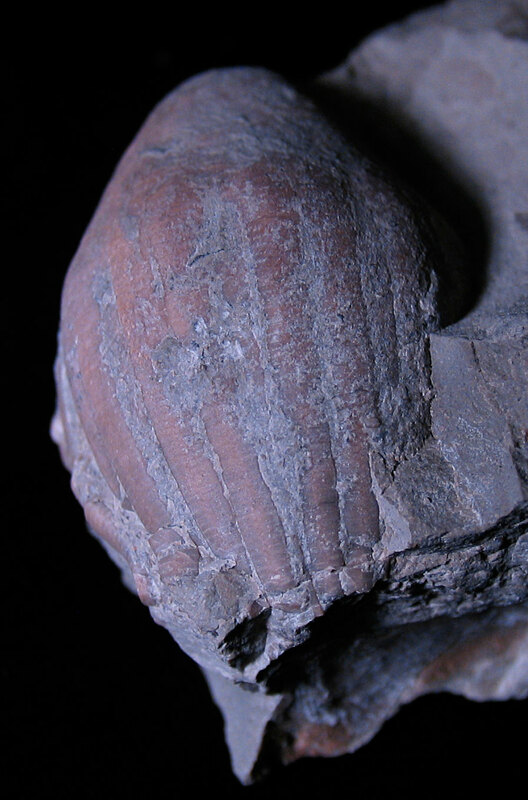 Index fossil for the Silurian Period Waldron Shale thought to be 425 to 411 million years old. These crinoids must have flourished on the seafloor. Judging by their root structure, the seafloor was pretty soft allowing the animal to create extensive holdfasts. See my friend Dave's July 24, 2011 posting at Views of the Mahantango on holdfasts CLICK HERE. 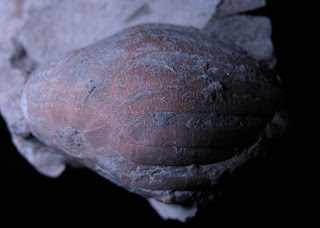 This fossil is one of the best I have found with arms folded up giving the animal an egg shaped appearance. 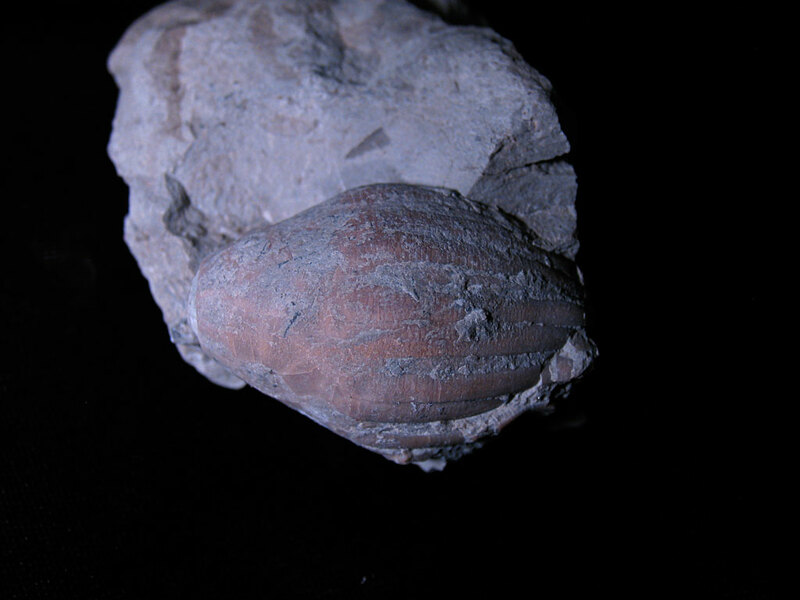 The Eucalyptocrinites crassus was found in Clark County. Fossil has yet to be cleaned.